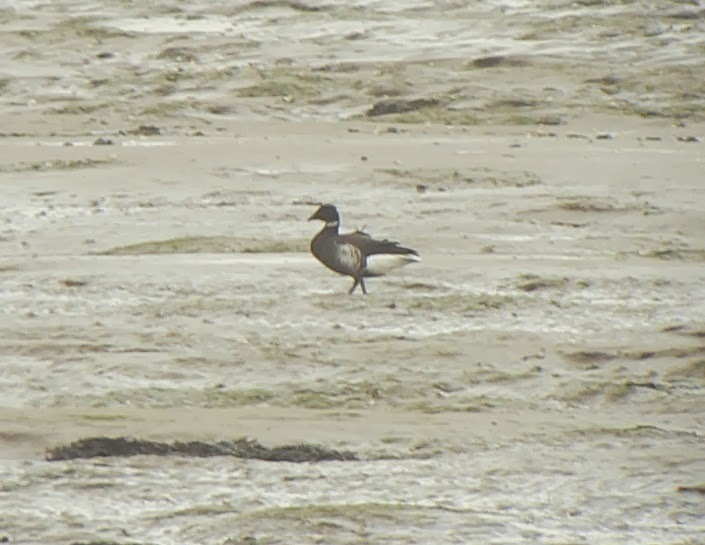 The black brant was first seen on Roa Island last winter as a young bird. Now an adult, it will be interesting to see if it keeps returning for the next several years. Sixty is by far the largest flock of dark-bellied brents I have seen on the west coast. We normally get the pale bellied race as an overspill from Ireland, whereas the dark-bellied race is the common brent of the south and east coast of England. 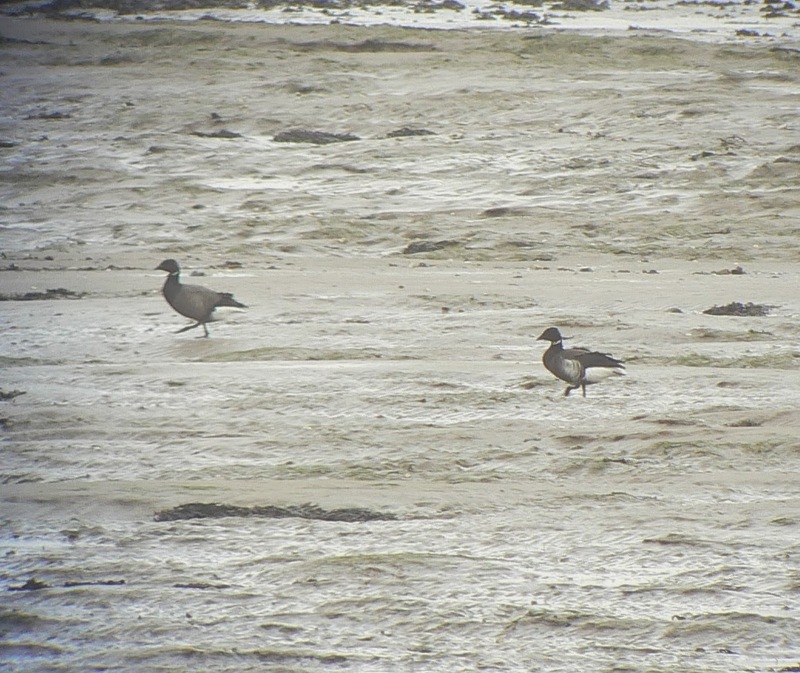 There are also pale-bellied brents in the Roa Island area at the moment, but we didn't see them. This was my second black brant in the North West following the bird at Pilling Marsh a few year back. Black brant breeds in eastern Siberia and western North America, so it's possible for it to arrive from the west with pale-bellied brents, or from the east with dark-bellied. Either way, it's travelled a long way! Probably would have been quicker to go over the North Pole! Black brant (right) with dark-bellied brent goose. 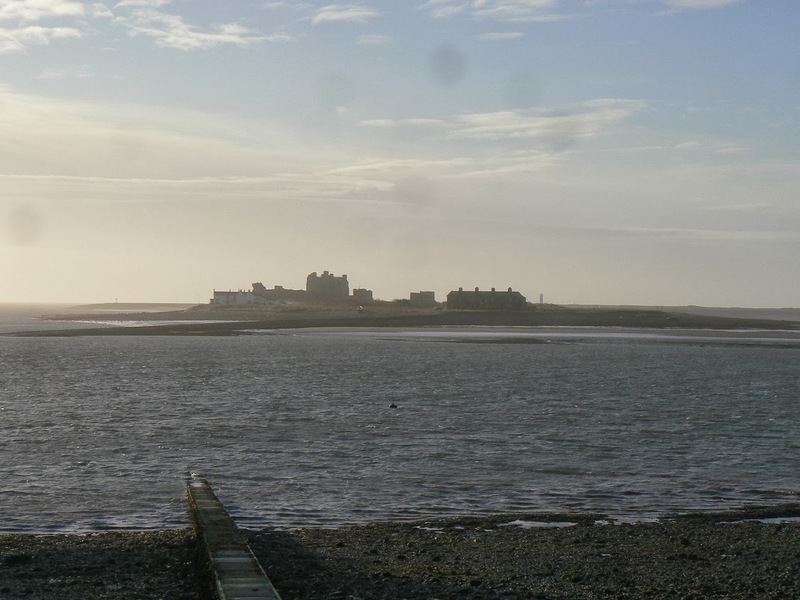 Piel Island from Roa Island. It was a lovely start to the day on Roa Island, and I was very impressed with the place, this being my first visit. Rampside lighthouse, built in the 19th centaury. I think it's more of a beacon than a lighthouse. 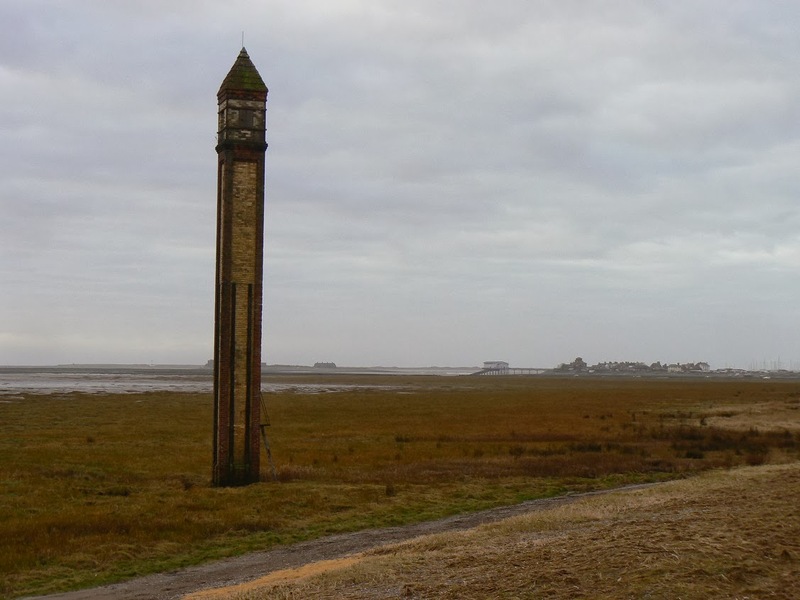 Apparently it's the only survivor of several built in the area, to aid boats into Barrow. 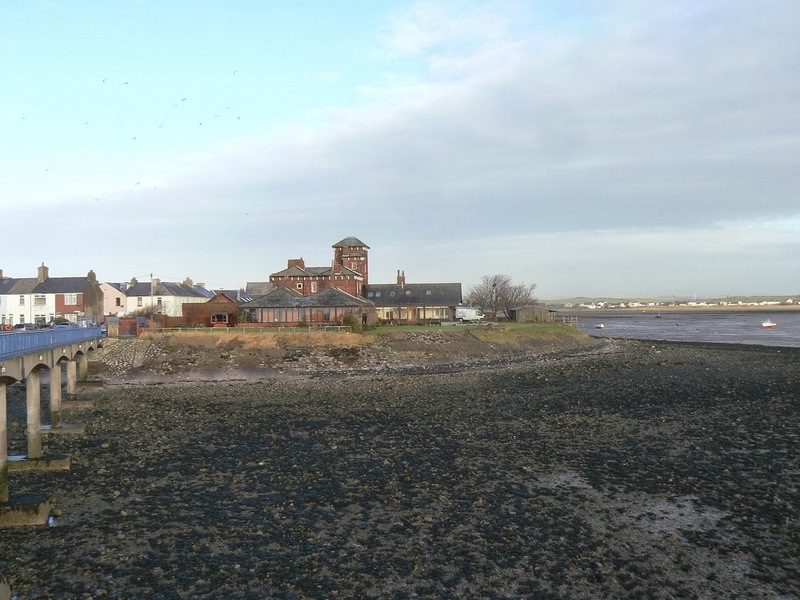 Roa Island is in the background.